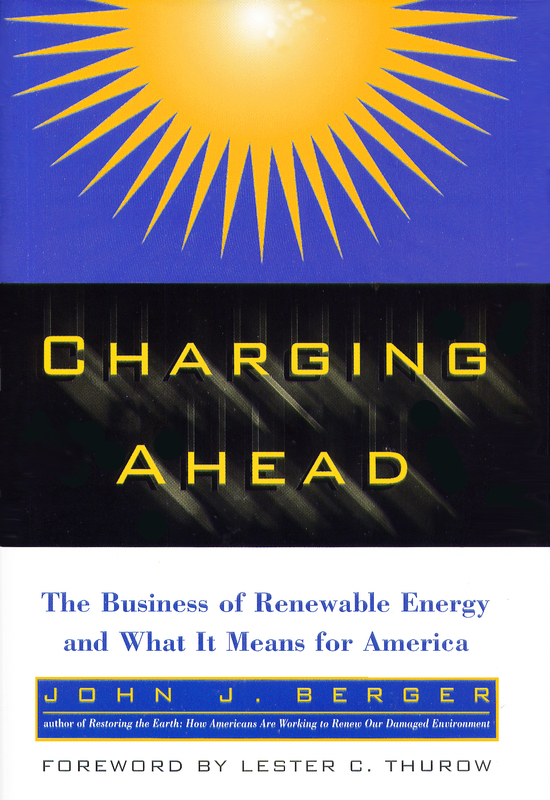 Charging Ahead | John J. Berger, Ph.D. Charging Ahead foretells the world’s next great energy transformation: the shift to clean, renewable energy sources. It shows how renewable energy, energy efficiency, and electric vehicles, when used together, can give us back a clean environment and create a healthy, sustainable economy. In chronicling this extraordinary technological revolution, John J. Berger provides a fascinating look at the new industries that will make it possible, and the trillion-dollar benefits Americans can enjoy by choosing pollution-free energy and transportation. – James Gustave Speth, Esq.